Say the word RAT and most of us will jump! But I’m sure this origami rat will make even the kids to love rodents. You'll need a square piece of paper. Try getting grey for maximum effect. Fold it half and half again. Open. We just need the lines that has formed. Fold one end, not too near the middle. Fold a flip upwards as the ear. Fold the bottom nicely to the back. The origami rat is quite ready. Decorate it and it is all ready to eat cheese! This origami car will go well with little boys. Fold it half again and open it back. We just need the line that has formed. Fold up into the middle line. Fold it close along the middle line. Fold the end up again. Fold one end down and turn it around. 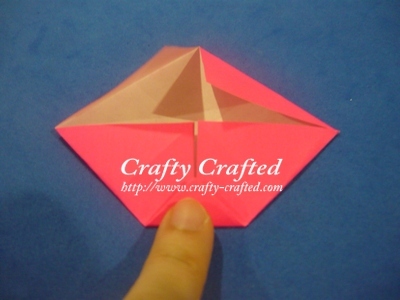 Draw the window and door as you wish and your origami car is ready to go!